Claude Monet painted Impression: Sunrise in 1872 in Le Havre, France. The scene is a natural look at the docks in the town and is a concentration on the effects of the sun on the sea. Impression: Sunrise shares its name with the movement that Monet was the leader of and it makes it one of his most important early works. It sparked an art movement whose legacy would continue on for decades to come. Impression: Sunrise fitted perfectly with Monet's burgeoning style, which favored painting outside and completing a first impression of a scene in one sitting. It is believed the Monet no doubt completed Impression: Sunrise in one sitting. Impression: Sunrise was completed at a time when art circles were still dismissing Claude Monet and the other Impressionists, namely Cézanne, Guillaumin, Berthe Morisot, Pissarro, Renoir, Degas and Sisley. 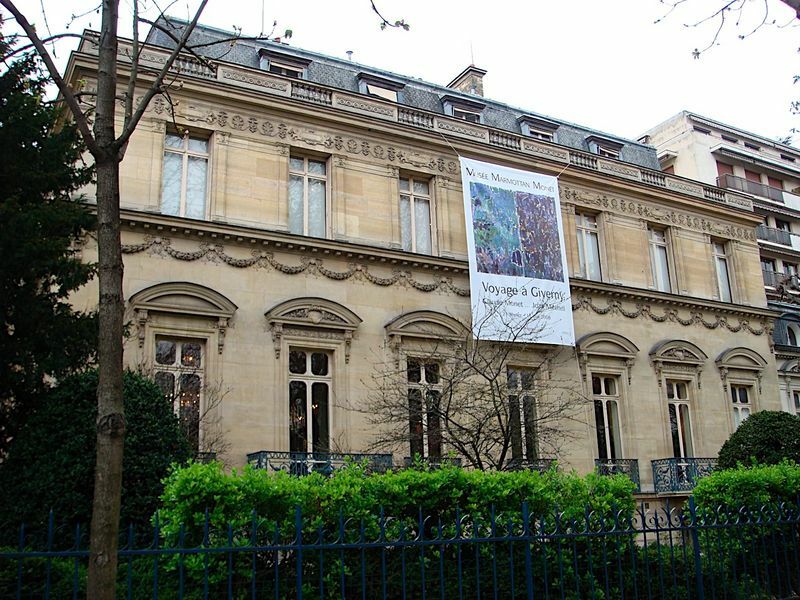 Due to constant rejection at the hands of the Paris Salon, the group of artists sought to create their own independent exhibition. Their ideals on art centered on a desire to portray the world with a new style that favored visceral immediacy, inspired in part by changes in technological advances in photography. Photography heralded a closer look at the science behind color and light and it was to become of great importance to this group of artists. Monet's Impression: Sunrise typified this and the notion behind the name was that the painting was concerned with giving an 'impression' of the landscape of Le Havre and not an accurate description of it. Monet confirmed such a belief when he noted about that the painting: "really could not pass as a view of Le Havre". The original title of the piece was "Marina" but Monet was requested by colleague Edmond Renoir to give a clearer title that wouldn't require so much interpretation. It was then that Monet decided to name the piece "Impression". The reason for Monet's title stemmed from the fact that the painting was a 'pochade' or sketch and this was what Monet called much of his work. The piece garnered a great deal of scathing criticism from the public who believed it to be an unfinished piece of work. Many of the gathered crowds at the time of its exhibition were curious parties who came only to deride the future Impressionist's efforts. 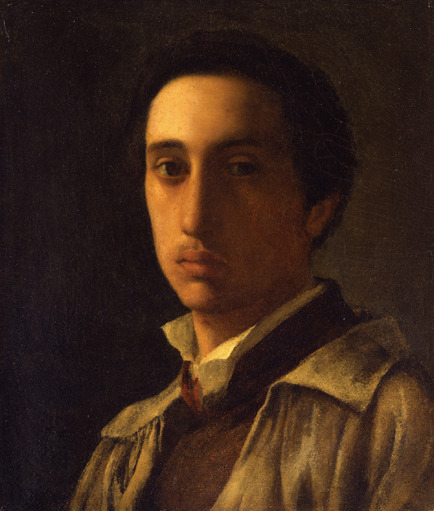 Critic Louis Leroy was particularly scathing and wrote a series of amusing articles that continued to poke fun at the movement long after the actual exhibition. Despite its hostile contemporary reception, the painting sold instantly and was later gifted to the Musée Marmottan where it currently resides. Despite selling for 800 francs initially, the work has subsequently become a national piece that is beyond price. 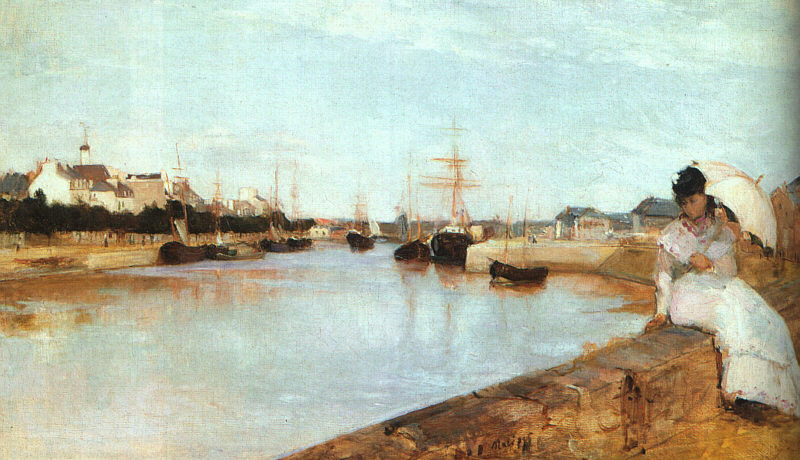 The port of Le Havre was the location that inspired Monet to paint the work that would become synonymous with the Impressionist movement. Le Havre itself is a city situated in the north west of France near the mouth of the river seine. It is this expanse of water that inspired Monet to paint Impression: Sunrise. Despite later criticism, most of Monet's early work was painted in true Impressionist style. This involved painting the scene or 'motif' outside and in one sitting. The object of Realism was to capture a certain period of day in order to depict the effect of different natural light on a specific scene. 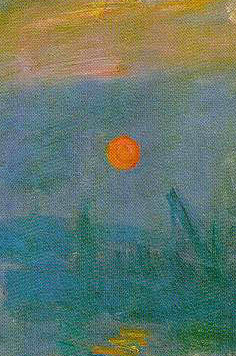 The inspiration for Monet for Impression: Sunrise was the effects of the rising sun on a scene. The birth of a day affords him the opportunity to depict obviously cold effects in relation to the heat of the rising sun. Similarly to the Realist painters before them, the Impressionists embraced photography for their work. Other movements saw the medium of photography as a threat to current and future art but the Impressionists used it to assist their rapid style of visceral depiction. Impressionism was based around conveying a scene at a particular time of day and this was something that a photograph could make last long after the scene had faded. 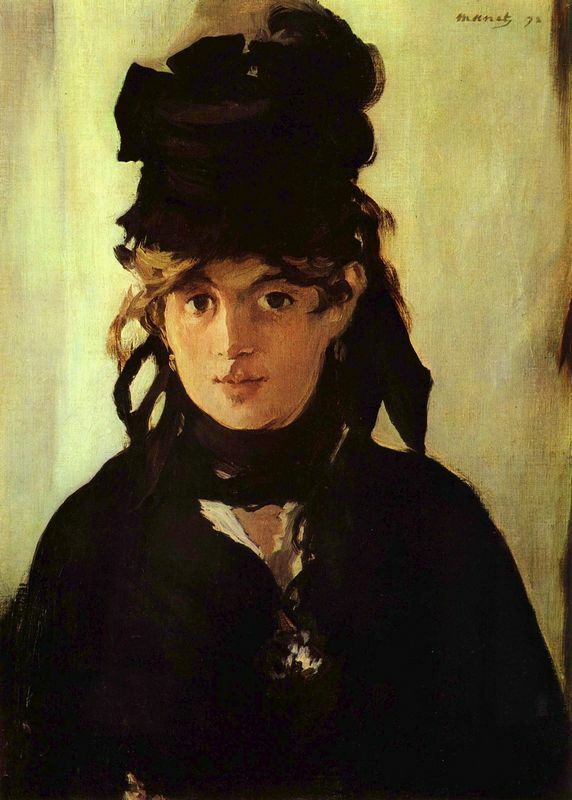 Monet was a painter renowned for being able to portray vibrant color and detailed shades of black with equal skill. Impression Sunrise is a good example of this as even though the darkened figures at the forefront of the painting have not been given much space or detail, they have a significant bearing on the painting. The impressionist movement emphasized the portrayal of light and color over painstaking detail. Rapid brushstrokes and painting scenes outside led to a unique and colorful movement that impressed and disgusted in equal measure. Impression: Sunrise is a fitting example of the artist's rapid impressionist brushstroke. The most important aspect of Impression: Sunrise is the sun, but Monet doesn't use traditional rules of composition in order to highlight this. The luminance of the sun is set to the right side of the painting and its effect on the rest of the piece is what propels its significance. Monet's use of composition means that the sea also carries a great deal of weight. The sea clearly encompasses more of the painting than the sky and the clear nature of the water means that the sea actually reflects features of the sky above it. Most notably in this regard is the sun, the glow of which almost burns a visual beam of light across the water surface. Monet's use of color seeks to perfectly capture the morning in evanescent detail and his medley of blues and oranges depict this fittingly. Monet's use of bold orange for the sun denotes its warmth and such vibrant color contrasts strikingly with the cool blues of a no doubt brisk morning. The luminous color of the sun seems to pulsate around the painting, reflecting and blending with the sky whilst below it reflects boldly against the expanse of water. It vibrates boldly against the remainder of the motionless scene and its color gives the piece life, more so than the indecipherable figures at the forefront of the painting. Monet's use of color means that the shade of orange that comprises his sky blends seamlessly with the sun. The glow of the sun in the rest of the painting gives it an eerie feel that imbues the sky with the same sun-filled glow at various points of the sky. The power of the sun is given more magnitude as orange breaks through frosty blues. Impressionism favored rapid brush strokes in order to accurately depict the immediacy of the scene in front of them. In Impression: Sunrise Monet uses such a rapid brush stroke technique in order to portray the effect of the sun's light against the water and its fluidity in comparison the rest of the scene. 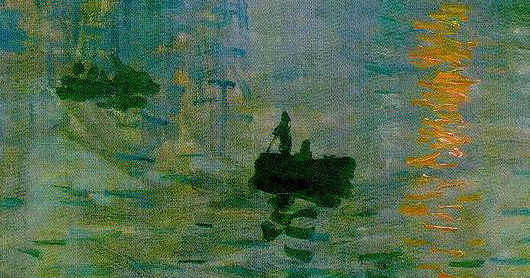 Like many of Monet's water based pieces the artist's painting starts in the expanse of water in order to convey a degree of endlessness in his work. The water has no beginning or end and the indistinguishable blurred structures in the background support this view. Despite its early initial sale of 800 francs to Ernest Hoschede, the painting's sale success was notably less profitable. The only other documented notable sale was at a loss to Dr. De Bellio for 210 francs. Impression: Sunrise was initially refused entry into the Académie des Beaux Arts, as the juried art standard at the time saw Impressionism as having a lack of mastery that was necessary in order to be exhibited. Due to this the Impressionist movement was viewed with disdain and scorn and the future Impressionists would seek to organize their own exhibition in order to exhibit their talent. As the centerpiece of the independently organized exhibition, the brunt of this scrutiny was leveled against Monet's work. It is said that many of the viewers at the first exhibition were only there to mock and poke fun at work that they saw as poor and unfinished. "Impression - I was certain of it. I was just telling myself that, since I was impressed, there had to be some impression in it... and what freedom, what ease of workmanship! Wallpaper in its embryonic state is more finished than that seascape." 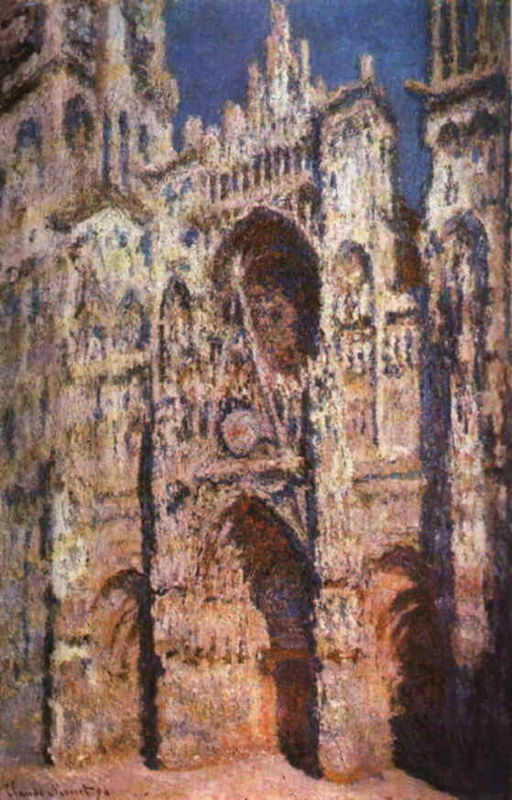 Modern day critics of Monet have leveled the criticism against him that, many of his works were completed days or weeks later away from the motif. Such a style went against everything that the Impressionists claimed to be and towards the end of his career Monet certainly switched to this method of painting. Fading health and the inability to sit outside for hours at a time in sometimes temperamental weather conditions meant that finishing a piece away from the motif was the best option for Monet. In Impression: Sunrise however a young Monet more than likely completed the work in one sitting as the early centerpiece for the burgeoning style of Impressionism. Impression: Sunrise was eventually bequeathed by the artist's daughter amongst other works to the Musée Marmottan, where it currently resides. Despite some initial disappointing sales, it currently is beyond price and is considered a national treasure. It was stolen from the museum in 1985 but recovered in 1990. Claude Monet was 32 years old when he painted Impression: Sunrise. The artist had recently become a father and relocated to London for a year in order to escape the Franco Prussian war that had engulfed much of France. Monet had been perfecting his Impressionist style and learning from a host of mentors and friends before embarking on Impression: Sunrise, which is perhaps one of the clearest earliest examples of the movement. 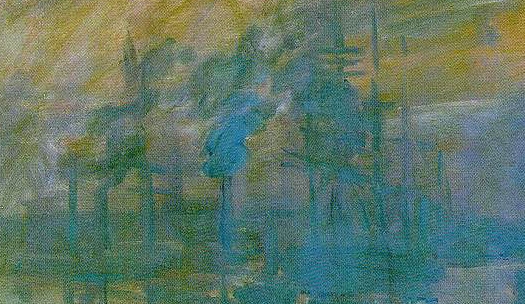 Monet completed Impression: Sunrise at a time when the Impressionist movement was still in its fledgling days. 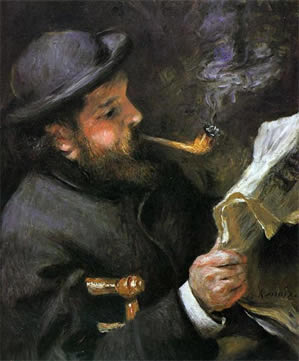 Due to rejection at the hand of the Paris Salon this group of artists, not yet known as Impressionists would decide to organize their own exhibition in order to bypass the artistic institution that would forever thwart their attempts at displaying their work to the general public.